Tucked away on Sansom Street in Center City, Su Xing offers a huge menu of all vegetarian Chinese food. The prices are more than reasonable (and even cheaper at lunch), the portions huge, and the staff polite and helpful. I stopped in on an early evening between the Opera and few hours at work to enjoy a nice meal and read the paper. 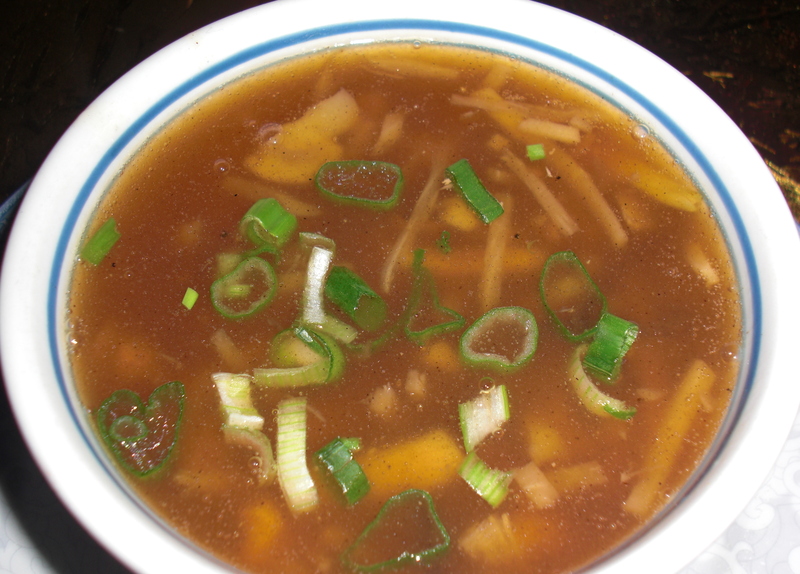 I started with the hot and sour soup, which I am rarely able to resist. Su Xing‘s hot and sour is likely different than others you have tried. It’s not at all viscous or gloppy, and the heat comes towards the end of the bite, bright and sharp. It can be difficult for me to make decisions when I have so many options – I’m just not used to an all-vegetarian menu – but can usually narrow it down by one of two ways. 1. Is it spicy? 2. Does it have mushrooms? If I can’t have both, I have to decide which I want more that day. Spicy usually wins out, as it did this day. 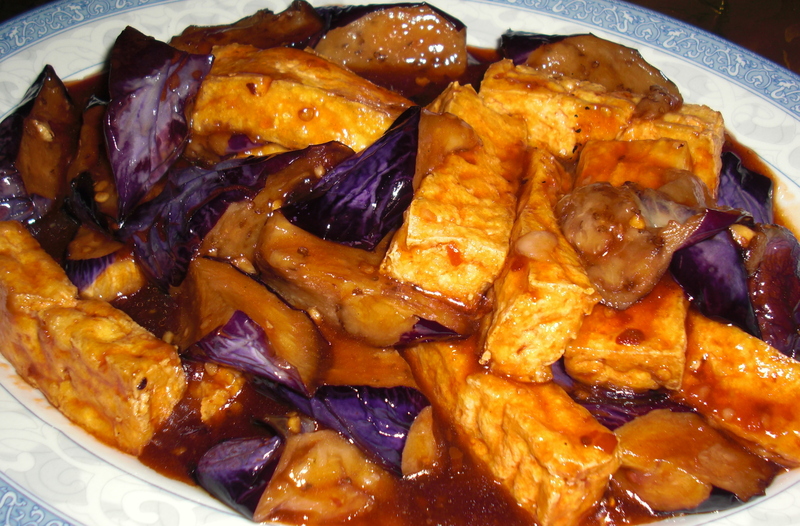 I ordered the spicy garlic eggplant with tofu with brown rice. The sauce was almost delicate, yet still had kick and plenty of garlic. I ate just over half and then packed the rest up for a great lunch later in the week. I love the second graph of eggplant and tofu! It’s an adjustment dish that originally should be a dish for meatlover and spicylover. Check if you like it.